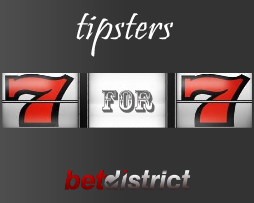 Topspin77 is one of the most active tipsters on Betdistrict, with over 500 picks written and boosting a profit of about 100 units. 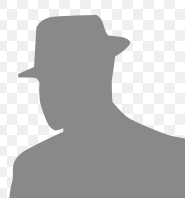 Without further adieu, we`ll let the man present himself. I am 38 years old, I am from Romania. I am married and I have a son. I support FC Universitatea Craiova and I like Neymar, I have seen him in Brazilian football many years ago in Santos. He is the last romantic in football as far as I`m concerned. Due to the fixed matches and corruption in football, I have transferred my attention to the sport that I practice and I love most, tennis. We have a great generation in tennis and we are very fortunate to see, every month, the likes of Monfils, Nadal, Federer, Wawrinka, Djokovic, Murray, Ferrer, Kohlschreiber or Nishikori. From WTA I like this “Tina Turner of tennis”, Serena Williams, an explosion of power and mental strength. I support Halep in every match. I like the intelligence of Radwanska. I always considered internet as an exciting way of making money. Combine that with my passion for sports and there you go, I got myself a part time job. This passion for sports and stats has been developed in my childhood when I was following the Serie A and Serie B. Looking to find another source of revenue, I decided to get involved seriously in tipping and betting, ’cause I always felt I have the potential. It took me 1 year to get used to the traps of bookies, their habits and tricks. I mostly trade matches on Betfair, but there are some other good bookies also that I trust, including Betsson and Betsafe, our sponsors here. I never thought Wawrinka can win against Djokovic in this year’s Roland Garros. After the final we have probably seen why Djokovic has not been placed yet on the same level with Nadal and Federer by many experts. I mean the guy has the best tennis of his carreer now, it`s close to perfection, he returns so well, won many events, is number 1 at the moment in ATP – but he has just lost too many Grand Slam Finals (8) and won just 8. For example, Nadal won 14 and lost 6. Djokovic has these demons in his head in the key moments. This is why he has not won Roland Garros and it’s possible that he will never make it. Wawrinka proved to the world that he can beat anyone in a good day. Stan waited for his moment and did what he had to do: butchered the opponents on both sides, backhand and forehand. He develops enormous power in his shots and I am simply amazed by him! About this Wimbledon I think that the title can be won either by Djokovic, either by Murray. Normally, I do not see anyone able to Challenge them now. It would be nice to have new names on the scene like Feliciano Lopez, who is a true grass court player. But if we will have a mix of unpredictable events like in the 2014 US Open edition, who knows what might happen?! Berdych can also be there as winner, but his inner demons are huge opponents. Could Nick Kyrgios also a name? Maybe! I wish! You are writing a lot of tips per day. Some people argue that placing so many bets is not a good strategy. Your record contradicts that statement. Your opinion on this? I am writing about tennis and this is a sport that offers 5-6 simultaneous tournaments per week, each providing many matches per day. Choosing 5 is not a lot at all. It all depends on the time I have to study in the day. In tennis betting it`s not like in football betting, for example. Tennis players are usually playing matches in maximum 2-3 consecutive weeks, going to have a rest for a week or so after. It’s clear that you know their form, in case you are following tennis daily. In the first part of the week you have a lot of options in the incipient phases of the tournaments, while in the last 3 days of the weeks you get quarter finals, semis and finals. You need just to be careful in picking the matches and the market that has the value. Having this approach in football will definitely ruin you. I tested that on my money! In June (e.n: time of the interview) I decided though to go for 1-2 matches per day. By the time this interview will be published, you probably saw the result of my work in this manner. You use flat stakes. Why do you think this is a better approach than placing mixed stakes? Let’s be clear, I always use the same stake for my bets: 20 euros. It doesn`t matter if the odds are 5.00 or 1.80. I never bet on odds less than 1.7 – that is the minimum odds for me to place a bet. In my view, flat stakes can make your bank control better. You need to address 2-5 bets and to analyze them deeply. A good analysis will bring you profit, do not look for the value of the odds first. Look at that after you took into account the form of the player, styles of play, conditions, etc. If the odds are under 1.70, I normally do not go for that bet. In other words, flat stakes are the expression of what I felt of those picks – best choices of that day. How do you feel about the legislation changes for online betting in Eastern European countries? I have not followed this topic too much. It’s a waste of time to read about. This niche – betting and tipping – will exist in one way or another and we have to adapt. The legislation is not in my hands so I just have the power to evaluate if I can make profit, how I can make profit. When it will not be profitable anymore I will find other stuff to work on. I like Betdistrict because there are strict rules that guide you to deliver quality picks. The prize hunting behavior is forbidden which is a good thing. A great community has been created here. The prize amount in the tipster competition needs to be improved. I have been guided by what Robert Kiyosaki explains in his “Rich dad, poor dad” book: “Smart people have two or more sources of revenue.” You need to be sure you follow that all your life! Favorite person: It’s my boy that inspires me every day. At the same level, I have also my wife. good interview, hoped you say more about WB. think Djokovic is the favorite? It,s the tournament I like the least: surface is hard for everyone, the rules are old and conservative, the press is hidious out there. Strawberry and cream are great instead. Wow, interesting point of view. I couldn`t disagree more. Wimbledon has done well to evolve, they have a roof, plan another one, while the French Open doesn`t even have floodlights and scoreboards are falling over people. The attention for online is great and they have top class info about the weather, while US Open usually doesn`t even bother to estimate when play will resume. Also, the US Open’s ticket re-allocation scheme is a crime to humanity. Australian Open is probably the best organized tournament, but Wimbledon is right there and they have the advantage of huge tradition and history. And the conditions adds to the excitement, grass is such a special surface and rewards attacking tennis, vintage serve & volleyers. My only problem with Wimbledon is that they slowed down the grass and the fact that the second week is played on dirt, but that`s not entirely their fault. But of course we all have our opinions. Just my 2 cents :). Thank you! I will get on next week, now I am in a holiday with no chances for serious study of matches. I will try to write something in the morning, will see. I follow most of ur tips on tennis and you do a good job. Thanks and congrats for the interview and ur tips. Glad you put the logo of my team, not on the surrogate CSU. Also I am glad to announce that I am back from holiday!